We polled our audience of e-commerce experts to learn about the software tools they use alongside Shopify. Here is what they said. After surveying more than a dozen Shopify pros, one of the lessons we learned is that e-commerce experts do not limit themselves to the built-in features of the Shopify platform. Just like the savviest of inbound marketers use a series of HubSpot integrations to run more advanced campaigns, Shopify wizards might use 5-10 tools from the Shopify App Store to generate more revenue from each customer. While Shopify has existing solutions for most common store features – like reviews, loyalty programs, product recommendations, and more – you’ll find that additional, third-party integrations might allow you to dig deeper into high-impact areas than your standard out-of-the-box features would. That’s where the App Store comes in handy. To find out which integrations solve the most common problems for store owners, we surveyed our community of Shopify experts to learn which tools they’d recommend most. Analytics tools allow your marketing and user experience teams to make more informed decisions. At this point, pretty much any data point can be captured for free in Google Analytics or Google Tag Manager, or at a low cost (<$10 a month). But, a great e-commerce analytics tool will also make it simple for you to decide which changes you need to make. Value of Tool: I’m going to go with an oldie but a goodie here. One of the hardest parts of running an e-commerce business is getting traffic to your site. 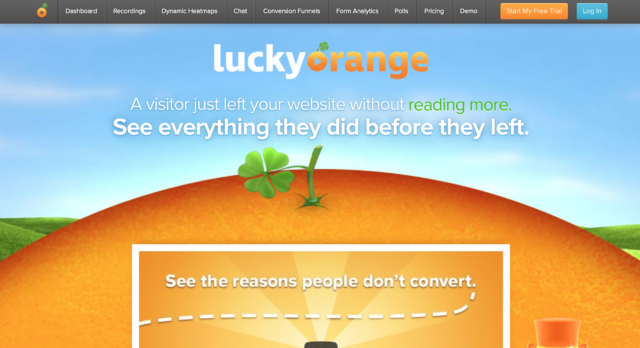 Once visitors are on your site, a percentage will always convert. And while cart abandonment and email marketing software are useful, it all has to start with traffic. 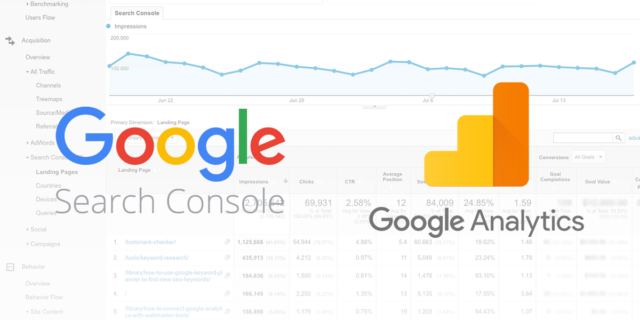 Google Analytics lets you understand where your traffic is coming from and what content visitors are accessing on your site. You can look at your analytics and double down on what’s working to get even more traffic. Details of Integration: You can turn on Google Analytics from your store’s preferences. You don’t need any apps, just a free Google Analytics account. Once it’s setup, you can take it a step farther and enable Enhanced ECommerce tracking in your Google Analytics account to get even more data. Once you have that data, you can dig into your analytics to figure out where your traffic is coming from; adjust your marketing strategy; and focus on your most valuable channel. Value of Tool: At the highest level, it gives merchants insights into how their visitors are interacting with their stores. You can watch the entire recording of their session – where they go, what leads them to transact and where they exit. This is so powerful! Details of Integration: It’s a seamless integration. You drop a piece of code into your store and you can immediately start watching how your visitors are interacting at every level and page of your store. It happens immediately once you set it up. Shopify is meant to make store management easy, rather than inject countless dependencies and edge cases. Specialized development tools give Shopify developers a great experience, which should translate to faster and more inexpensive releases. Value of Tool: It allows local development of Shopify themes via more advanced source-code editors such as VS Code. Details of Integration: It watches for changes to theme files and syncs them up with the Shopify server. This rapidly increases development time as VS Code has a Liquid extension for intelli-sense and syntax highlighting. Although there are plenty of options for email marketing integrations, MailChimp seems to be the most popular by far. Email marketing tools also integrate with different retargeting tools like Facebook Ads, so you can reach your customers on social media as well. Value of Tool: MailChimp has long been an email marketing staple, providing simple ways to build email capture forms and build subscriber lists. With a list compiled, rich HTML emails can be designed within MailChimp, or uploaded as a pre-built template. Extensive tracking allows for easy monitoring and tweaking of campaigns, and the automation of emails means that the right users can be reached at the right points in time. MailChimp has recently been making a big move into its analytical and data-driven wmail services, focusing on monitoring users on a site with an aim to maximize conversions, retrieve a significant portion of abandoned cart sales and connect with users who haven’t visited the site in a while. Details of Integration: Integrating MailChimp into Shopify adds personalised product recommendations for customers by analyzing previous purchases. A simple product recommendation block can be added via drag-and-drop to email campaigns with relevant products for each email recipient. To improve results and accuracy, MailChimp also attempts to give a predicted age and gender of customers, based on common purchasing trends. Abandoned cart emails can be set up to automatically encourage those that have added something to their basket but left the site. This abandoned cart functionality often covers the cost of the user’s entire MailChimp account. Other possible automation opportunities include emails that welcome new customers who are purchasing products for the first time and separate emails for previous customers who have not visited the site again for a set period (e.g. 30 days). Value of Tool: It is an easy-to-use newsletter subscription and marketing automation platform. Details of Integration: It easily syncs your contact list to your e-commerce buyers. You can create embedded pop-ups to convert visitors into both purchases and email subscriptions. Value of Tool: Mailchimp can connect your Shopify store with your MailChimp account free of charge. It lets you automatically add customers and their purchase data to your MailChimp account. You can then create powerful automations, targeted emails, and ad campaigns to personalize your marketing, sell more product, and grow your business. Details of Integration: It integrates quickly at no cost and immediately helps you to build a detailed and segmented email list with high conversion rates. Overall it helps to increase the likelihood of repeat business, upsells, and referrals while reducing the chances of cart abandonment. Value of Tool: Springbot is a powerful tool that provides data-driven marketing recommendations for online stores. You have access to all of your marketing tools in one dashboard, along with smart recommendations for each marketing channel based on customer demographics and purchasing behaviors. You’ll get access to a suite automation tools and an analysis of how well your marketing efforts are performing across each channel. Details of Integration: By installing the Shopify app and connecting it to your Springbot dashboard, you’ll able to automate and trigger campaigns via email, social media, and retargeting ads based specifically on your store’s customer behavior and demographics. Your store is unique, and your marketing strategy should be too. Springbot takes care of the strategic heavy lifting for you, getting you a much higher return on your marketing efforts. An independent e-commerce store may be competing first and foremost with Amazon. That is pretty intimidating. One way to maintain your customer’s attention is to use a loyalty program. A loyalty program usually includes a points system that rewards repeat purchases. 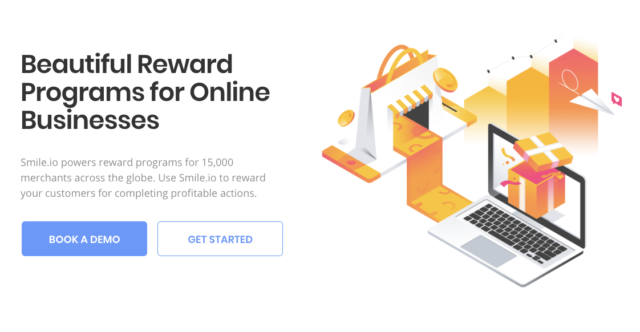 Value of Tool: Smile.io powers loyalty programs for e-commerce brands around the world. Its an incredibly powerful offering and yet super simple to get started. Details of Integration: They have an app that integrates with the Shopify platform – and once the app is installed and configured, stores have a fully functional loyalty program enabled for their store that customers can benefit from. Value of Tool: It is a loyalty system that plugs into Shopify. It tracks the customer’s purchases and keeps them engaged and motivated to buy products via a points system. There’s an automated email system built in which contacts clients when they have enough points to claim a discount, which is particularly powerful for engagement over time. Details of Integration: It integrates on the storefront by showing the point total of each product. It also uses a pop up which shows what you can get for your points, such as coupons and free gifts. One particularly cool feature is the slider function in checkout, so customers can assign how many points they want to use on that particular transaction and the points will then be applied. This tool will aid in repeat purchase and customer loyalty. Customers are very fickle. It is easy to find the cheapest version of an online product (usually on Amazon), but this tool provides an incentive to come back to the same store repeatedly, even if their prices are not the cheapest available. The “sales funnel” is the series of steps that a user must take in order to complete a transaction. In past years, this was strictly an on-site experience. E-commerce marketers had a series of conversion and upsell opportunities. Now, Facebook messenger bots allow curious customers to make a purchase without even visiting your site! Value of Tool: This tool allows you to upsell products at check-out or while the customer is adding a product to their cart. You can set it to show messages when a customer hits a certain price or when they add a certain product. Details of Integration: It integrates into Shopify through a few scripts and from adding it in the app store. The value is that it will encourage customers to buy more in order to get a discount/free-shipping. Value of Tool: This tool enables “Conversational Commerce” – allowing potential customers to browse your Shopify categories and products directly within Facebook Messenger, select their order and then checkout easily. This delivers a better customer experience and a better ROI from your Facebook advertising campaigns, since clicks to Messenger are cheaper and the buying process is simplified. Details of Integration: Setting up the Messenger add-on is really easy! Simply navigate to Sales Channels in your Shopify backend and add Messenger as a new sales channel, then connect your Facebook page. Make sure to test the messenger bot (and get friends to test) and ensure the experience is awesome for potential customers. Then you simply need to drive people to message your business using tools like Facebook Ads. Value of Tool: Digital Downloads is one of my favorite tools from Shopify. It allows you to offer digital products in your online store. Whether you’re selling digital products that require downloaded files or looking to share lead magnet content for different funnel-stage buyers, it hits the nail on the head. You can even combine physical and digital products with this tool, scheduling when customers can access the digital downloads. It has tons of potential for easily releasing series-based content for repeat purchases and improved lifetime values. Almost any brand can leverage the tool for creating new products, add-ons, upsells and funnel-based content. Details of Integration: For Shopify integration, simply download and install it from the Shopify App Store and you can start hosting digital products immediately. If you are looking to further expand current products with guides or simply add more premium content to your site, you can’t go wrong with it. Value of Tool: It’s a powerful, intelligent, and flexible search tool for E-Commerce websites. 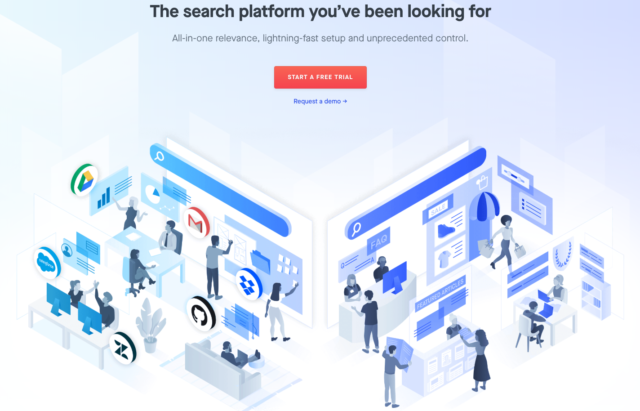 Details of Integration: Swiftype has proven itself as an easy-to-integrate and highly customizable tool that allows for advanced product search. What’s more, it comes with cool features such as autocomplete, which offers a Google-like search experience, and spellcheck. Finally, Swiftype is well documented, so you don’t need to spend half of your day looking for how to implement this or that piece of code. Value of Tool: ZEN.AI boosts sales by providing Amazon-like recommendation features in your store. It analyses your store data by looking at connections between customers and products using machine learning/AI. The result is a highly effective product recommendation engine that is tuned to your store. Details of Integration: It’s available at the Shopify App Store. It’s easy to setup and customize appearance using the built-in editor. Social proof is one of the best ways to steer curious potential buyers away from competing brands. These tools allow you to turn your happiest customers into a marketing channel. 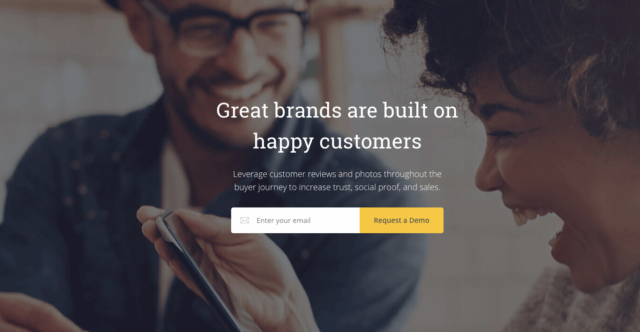 Value of Tool: Yotpo is a social review platform that allows you (through an extensive list of tools) to stay engaged with your customers and get their feedback and reviews. Yotpo connects to all your social channels as well, so your reviews are effortlessly pushed to Facebook & Twitter. Their email customization tools will keep your marketing efforts nicely on-brand, and the analytics they offer will give you some great insight on the influence that high ratings have on consumer buying decisions. Details of Integration: The tool integrates seamlessly with Shopify. You’ll be able to customize the widgets and marketing emails sent via Yotpo to match your brand. If you’re willing to invest a little bit into Yotpo for the premium features, one of the nice things you’ll unlock is the ability to remove their branding – which will fully whitelist the product. Yotpo is essentially Shopify’s review platform on steroids. There’s nothing to lose by using Yotpo, and only a tremendous amount to gain. Value of Tool: Yotpo is a customer content marketing platform that helps brands of all sizes generate and leverage reviews, photos, and Q&A throughout the buyer journey to build trust, drive traffic, and increase conversion. Details of Integration: Yotpo’s app for Shopify is a fairly straightforward “plug-and-play” implementation, with both free and paid plan options. They provide easy customization and configuration options, advanced moderation & commenting features, and widgets to leverage review content on various areas of your site. among many more features. This is a very powerful tool for engaging with customers, enhancing website SEO, and ultimately maximizing our clients’ ROI via increased traffic, conversation rates, and sales across all marketing channels. Finally, there are still some cases where some poor marketer must download a spreadsheet of data, reformat the data, and upload it to a new service before he/she can actually take action. These services create new integrations that automate processes which were previously based on shuffling data around in a spreadsheet. They are more event-based than some of the other integrations, which focus on permanently adding new capabilities to Shopify. Value of Tool: Oberlo was specifically made for Shopify shop owners. The app makes it seamless for users to almost instantly import and add products from AliExpress to their Shopify Stores. Shop owners can literally add products (including product images, details and descriptions) in seconds. Details of Integration: The tool automates most of the key processes involved in running an e-commerce business, as it automatically updates inventory and prices (when they change) displayed on your site, can automatically fulfill your customers’ orders, and provide detailed sales reports. 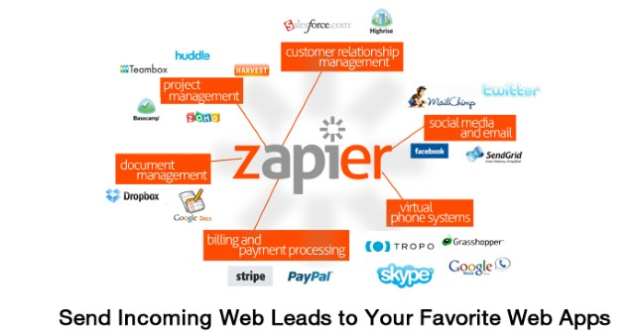 Value of Tool: Zapier is all about connections, so it doesn’t really offer standalone value, but it makes it possible to integrate numerous other tools with Shopify that you might not otherwise be able to integrate. Details of Integration: Extreme flexibility is where the value comes from. Whether you want to add a new customer to a MailChimp list, or keep a backup of your monthly sales in Google Spreadsheets, or add someone to your CRM in Hubspot, the Zapier integrations make it possible. From reading through the myriad of responses, you might have noticed that there are countless ways to go about improving your store. You can start by analyzing your performance data and forming a hypothesis on which KPIs will have the biggest impact on revenue going forward. For example, if an unusually small percentage of visitors are actually adding items to their cart, you may want to address your product pages or site navigation. If visitors are adding items to their cart but not proceeding to checkout and completing a purchase, you may need to address your overall checkout process and purchase funnel. If you get plenty of first-time buyers but few returning customers, you may want to investigate loyalty programs and email nurturing. Don’t try to improve multiple parts of the funnel at once, especially if you have a small team. It’s easy to get overwhelmed by the technical implications as well as distracted by A/B testing opportunities. Instead, opt for focus. Set SMART goals for individual metrics within the purchase process, prioritize the ones with high-impact potential, brainstorm activities that can improve this metric, and hold yourself accountable to hitting them. 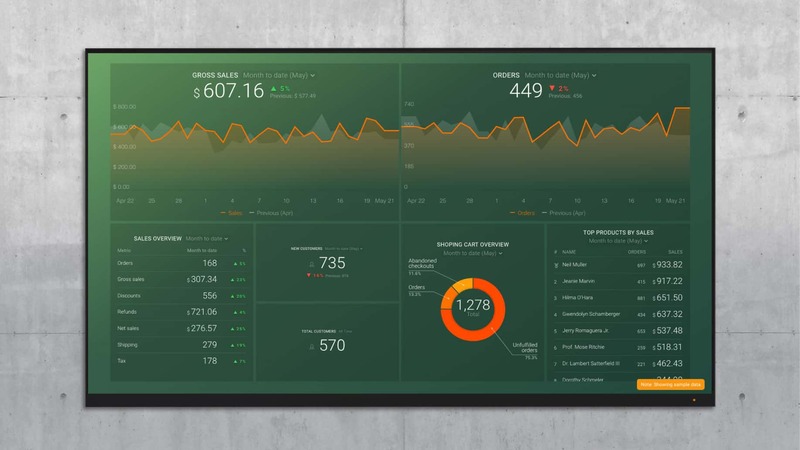 If you want to track progress to SMART goals in real-time in both Google Analytics and Shopify, check out our free SMART goals tool.